Captains Cove fully booked? You need to bring your pet? You are looking for alternate accommodation around the Gippsland Lakes? 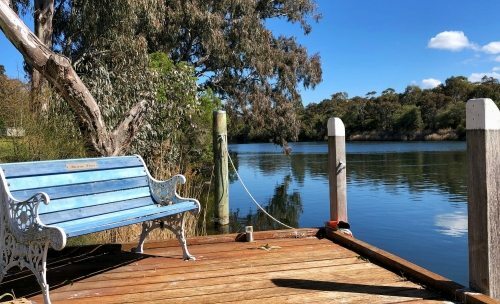 Captains Cove have teamed up with Paynesville Holidays and can now help you find unique accommodation on Raymond Island, Paynesville & Eagle Point. You will receive the same high level or service and cleanliness of Captains Cove. Book directly for the best rates. **We apologise however you are unable to book online - please call 5156 7223 for best rates. to check availability & to book a Paynesville Holiday property. This property will make your holiday to the Gippsland Lakes a memorable one. 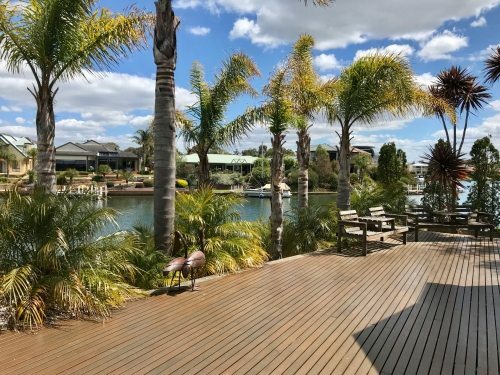 Located on the sunny side of the Paynesville canal it offers a large private jetty right out the front & a fabulous entertaining deck & BBQ area. The property boasts water views from the outdoor entertaining space & living & kitchen areas. It is stylishly decorated, offers 3 x Queen bedrooms, 2 x lounge /TV areas (one with 2 x fold out beds), 4 x bathrooms (incl bathtub), wi-fi, large smart TV, & full sized pool table.